Suppose the state abruptly shut down the Bremerton ferry route and I needed to get to Colman Dock by 4 p.m. for the big press conference. My car’s in the shop. What’s a reporter to do? Kitsap Transit has joined with Google Transit to show rookie riders like me the way. On the agency’s website, click on “trip planner” in the upper right corner. Plug in the start and finish points, the arrival or departure time, and it’ll spit out directions. In this case, I’d walk a couple blocks to Warren Avenue and Fifth Street and at 12:15 p.m. climb aboard the No. 11 bus. In 10 minutes I’d pull into the East Bremerton transfer center and shortly board the No. 17 bus for a 25-minute ride to Kitsap Mall. The No. 32 bus would soon come along and transport me in 15 minutes to the Poulsbo transfer center. I’d have to wait 17 minutes there for the No. 90, which would dump me at the Bainbridge ferry dock in 20 minutes, just in time to catch the 2:05 p.m. ferry to Seattle. I’d arrive at Colman at 2:40 p.m.
At more than 2 ½ hours, it’s not express service, but it can be done. Though there were four transfers, if you count the ferry, they didn’t’ involve much standing around. For me, the bus ride wouldn’t be cheap, at $8. But if I had an Orca card I’d get free transfers for two hours, reducing the bus fare to just $2. The ferry would be free on the way over but cost me $7.10 to come back. Sometimes the route planner shows the transit cost and what it would cost you to drive, but it wasn’t on this trip. “Hopefully it will allow more people who haven’t experienced transit systems to eliminate their fear trying to figure out schedules, bus stops and transfers and go out and use transit more,” said Kitsap Transit planning director John Clauson. You can use the trip planner to go shopping in Port Orchard or surfing in San Diego. That would take 50 hours, by the way, with most of the time spent sitting on trains. Kitsap Transit didn’t have to pay to be included on Google Transit, except for hours and hours of staff members’ time coding every bus stop and route schedule into a format that Google could accept, Clauson said. The genesis was a few years ago when the state Department of Transportation encouraged transit agencies on the peninsulas to combine on a trip planner. That effort died, but Kitsap Transit continued to pull its information together and wrapped things up with Google a couple weeks ago. The Alaskan yellow cedar at at the east end of the Manette Bridge that gets decorated each Christmas has seen its last lighting. 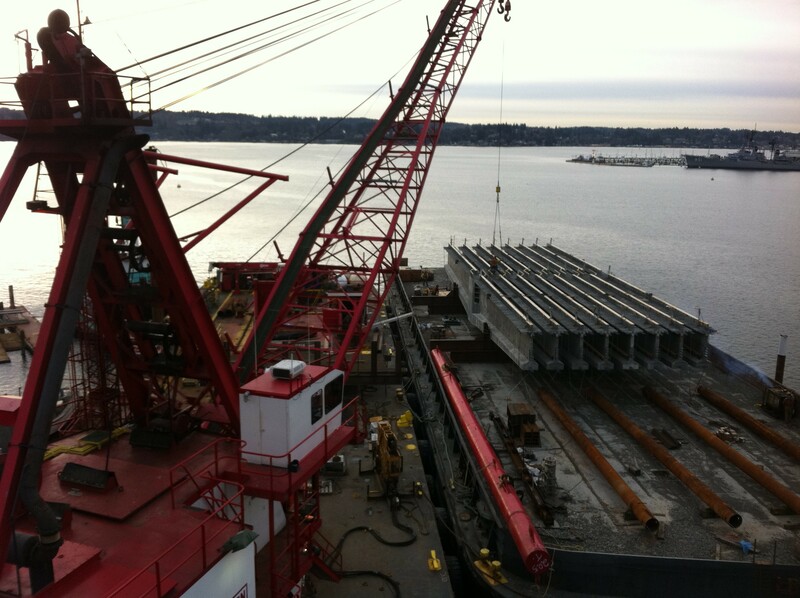 In the way of the new bridge that’s being built, it will be cut down later this week, Bremerton city councilman Adam Brockus said Tuesday. There were thoughts among city leaders and community members of saving the tree and moving it, but it wasn’t feasible. It would have cost $2,400 to do it. The tree has been there no more than 20 years and doesn’t have great historic significance, Brockus said. The tree will be cut down and sold as firewood, and contractor Manson-Moawat will donate the proceeds to buying another tree. It will be planted out of the way near the end of East 11th Street. Originally the tree was going to come down the first day of the project, said Jeff Cook, project engineer with DOT, but the contractor decided to leave it up and let the neighborhood enjoy it for one more Christmas. Now it’s in the way. The plan proposes to resurrect a statewide license-tab tax to fund the ferries’ long-term capital needs, like new boats. Whoa, you say. Isn’t that the hated motor vehicle excise tax that voters got rid of by passing I-695 in 1999? Why yes, but the state was collecting 2.2 percent of a vehicle’s value then, which usually added up to hundreds of dollars per car. 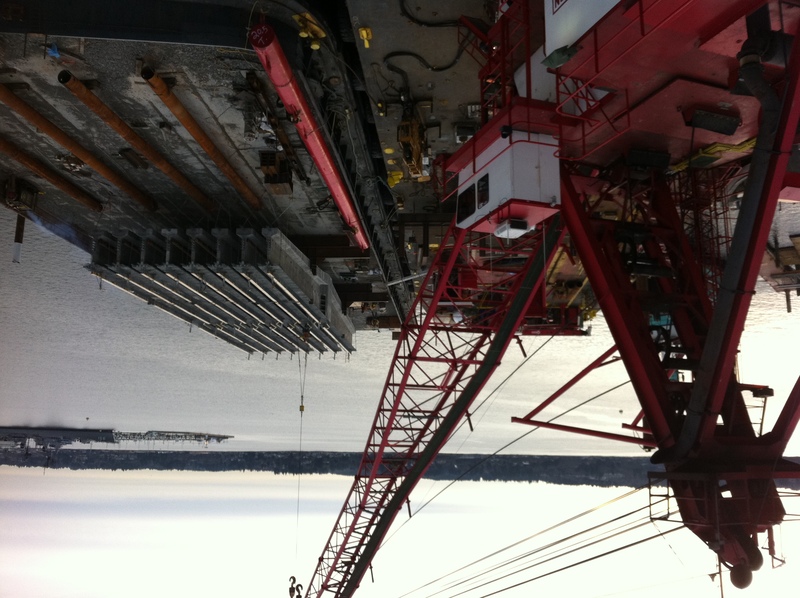 The plan says Washington State Ferries needs about $200 million a year for capital, $4.2 billion over the next 20 years. A vehicle excise tax rate of about 0.21 percent should take care of that. It would equate to $42 for a $20,000 car and keep the Department of Transportation from having to shift money from highways. Seems fairly painless. Closing the operating gap is another matter, however, and would fall entirely on ferry riders, according to the plan. The Legislature, governor and Washington State Ferries agree there should be a 2.5 percent annual fare increase to cover inflation. The commission’s plan says that’s not enough. To prevent having to subsidize operations, there would need to be a 4 percent to 6 percent fare increase for at least five years. Fares already jumped nearly 90 percent over the past decade, costing the system 4 million riders a year. WSF would continue to receive about $45 million per year of gas tax, and $7.5 million a year from motor vehicle licensing for operations. The rest would all have to come from fares. Fares are now paying for about 70 percent of operations. So, the Legislature needs to submit a bill for a tax increase, which it’s been loathe to do for the past 10 years. It would take a two-thirds majority of both the House and Senate to pass it. Or they could send it to the voters who would have to approve it by a simple majority. Washington State Ferries needs to keep cutting expenses, but it can’t close the gap through savings alone. I’ll come right out and say it. It needs a tax increase, whether alone or part of a bigger transportation package. I’ve got to believe lawmakers will a package on the ballot in November. If it’s reasonable and is rejected out of anti-tax spite, then you get what you pay for. Washington State Ferries put out some end-of-year stats recently. They show that of the 162,568 trips scheduled in 2010, 161,882 were completed. That’s a 99.5 percent completion rate. There were 809 cancellations. Guess what caused most of them. No, not crew members oversleeping. They say that only 17 cancellations were crewing-related. Two hundred forty-five trips were canceled because of tides. I would think most if not all of them were on the Port Townsend-Coupeville route. Right behind was vessel maintenance, which caused 235 trips to be canceled, and 132 weather-related, most of which probably were also at Port Townsend. Rounding out the aborted sailings were 61 for emergency medical response (transporting ambulances), 13 terminal-related, four security-related and two safety-related. There were 100 miscellaneous cancellations, which are generally attributed to resetting a sailing schedule because ferries were running late. WSF also added 125 extra trips for medical emergencies to and from Vashon Island. These really tick off the Southworth riders. I’ll write about that one of these days. The on-time averages for 2010 were: 84 percent between zero and 5 minutes and 94 percent between zero and 10 minutes, which is a respective 2 and 1 percent improvement over last year. Gov. Chris Gregoire’s office just sent said she’ll announce policy proposals tomorrow addressing the state ferry and information technology systems to help streamline government and reduce costs. It’ll be at 11 a.m. We’re trying to figure out what she’s going to say. Got any ideas. It’s not cutting the entire Bremerton route, I’ve been assured. It’s got to be something fairly big, because the ferry folks gave me a heads-up today that it was coming. I’ve talked to some insiders and they don’t know, or aren’t saying. What do you think. I’ll let everybody know at about noon tomorrow.